Is it just us, or are gloriously-boho indigo hues everywhere these days? Indigo is a blue dye obtained from various plants, but especially the Indigofera. In this case, we're referring to both the real deal and pieces dyed synthetically, though. Anything with a deep blue hue will do, thank you. 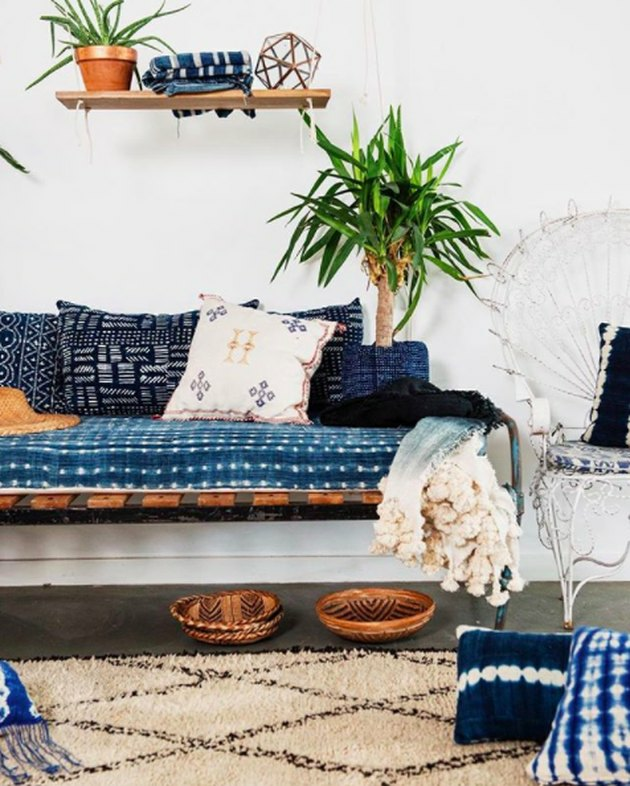 Here are 12 ways to incorporate indigo into your home, because if you ask us, you should definitely be decorating with the color. 1. Buy some throw pillows. 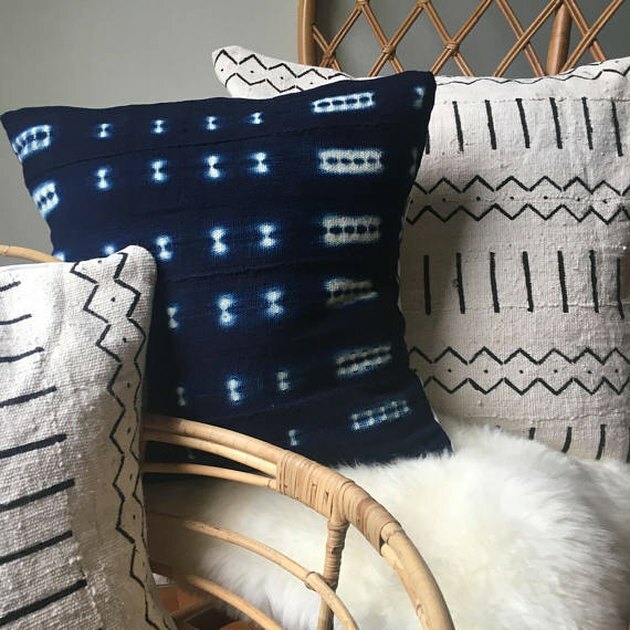 Throw pillows are an easy and relatively affordable way to incorporate indigo into your space in an impactful way. These from Etsy are handmade and start at $29.25. 2. Try indigo on indigo. 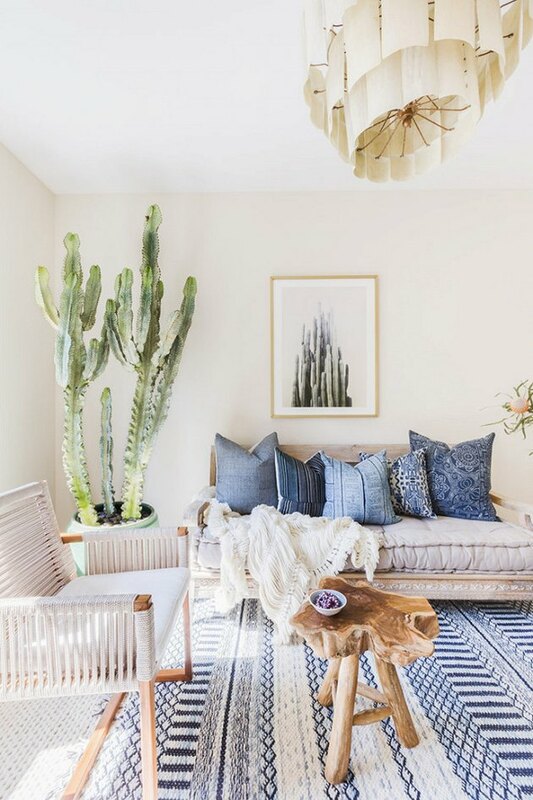 Practice maximalism by layering indigo pillows onto an indigo couch onto an indigo rug. 3. Switch out your dishes. 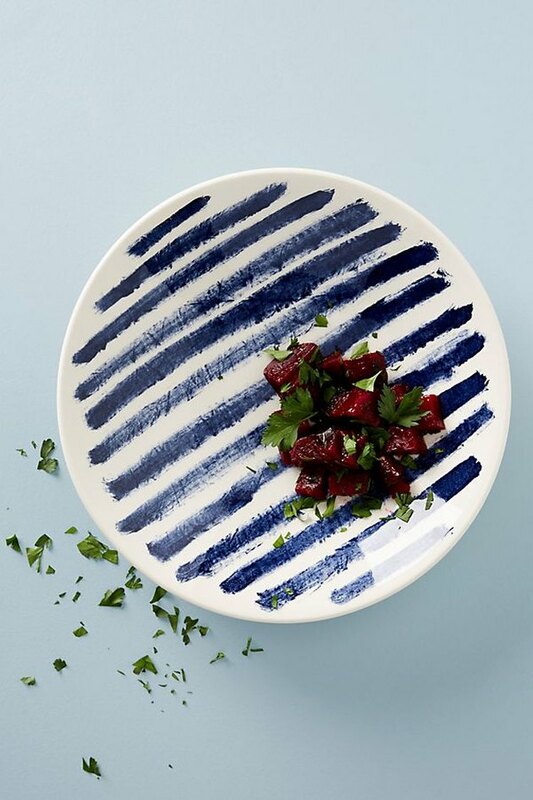 There's an indigo-striped dish collection from Anthroplogie that offers a fresh, summery feel. This particular serving bowl is $62. 4. Incorporate indigo into a nature-inspired room. Indigo offers that perfect all-natural vibe, just like cacti and wood, so the three go together flawlessly. 5. Add an area rug. 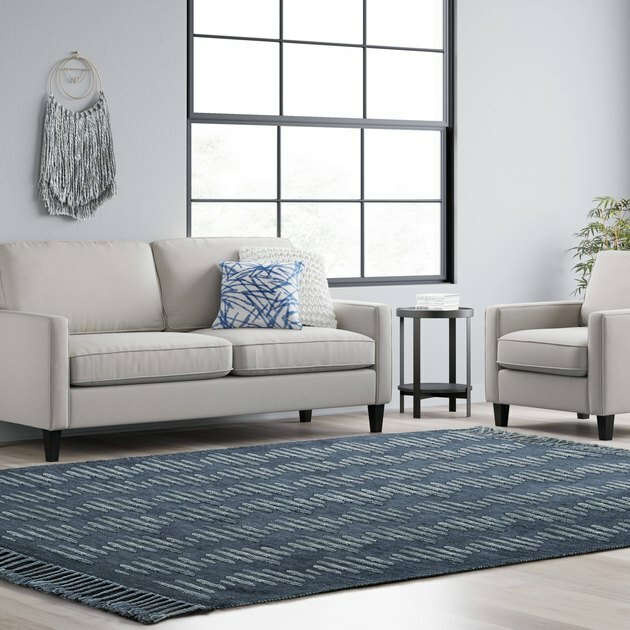 Indigo area rugs can be found just about anywhere at the moment, but this lovely option is from Target and starts at $90.99. 6. 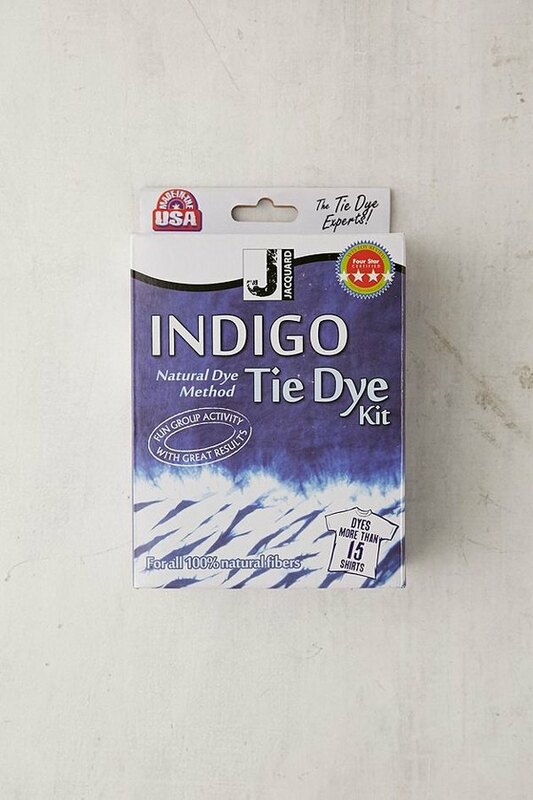 Tie dye DIY with indigo. Why not test out the ancient process of dying with indigo yourself? 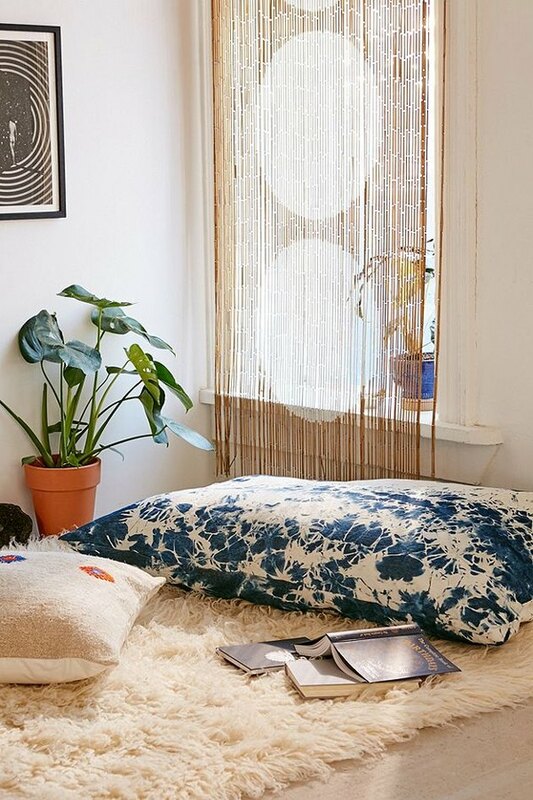 You can tie dye pillowcases, sheets, clothing...and the list goes on with this $13.99 kit from Urban Outfitters. 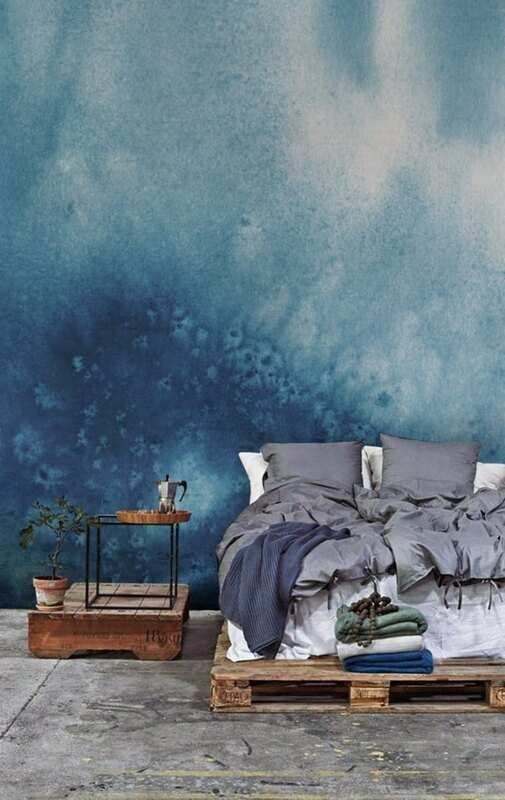 How about some indigo-watercolor wallpaper? This one can be purchased here. 8. Invest in an indigo sectional. If you really want to go all out, consider investing in an indigo sectional. This one from Anthropologie is $6,398. 9. Or just a floor pillow. If switching out your entire sectional for something indigo seems a bit extreme, opt for a floor pillow instead. This hand-dyed denim one from Urban Outfitters is $259. 10. Consider this pretty planter. 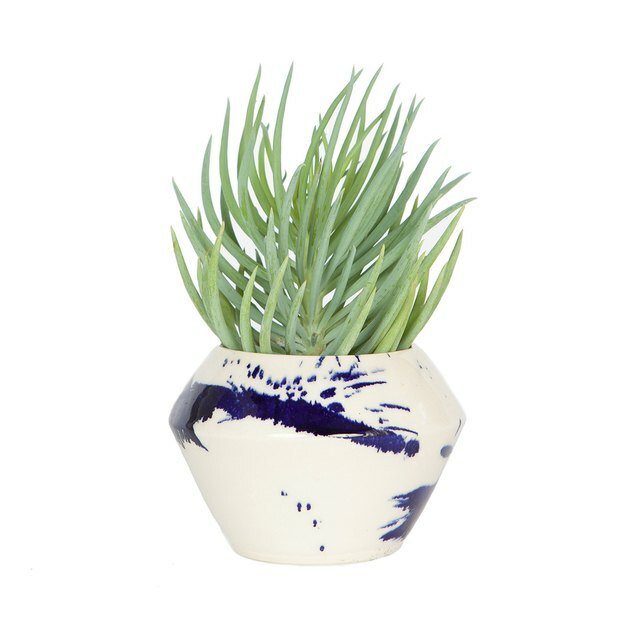 This hand-thrown planter from Consort Design, at $82, looks especially beautiful contrasted with the green hue of a succulent. 11. 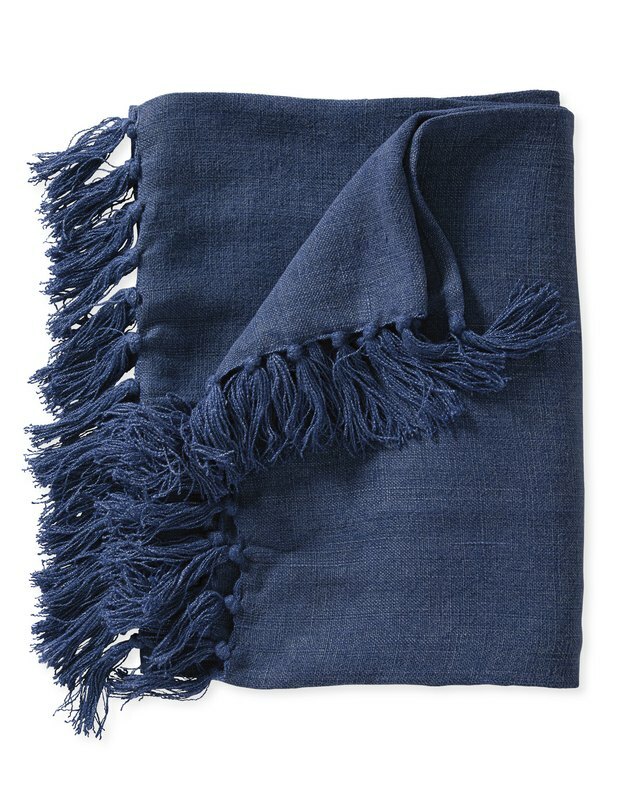 Cuddle up in this linen throw. Another quick and easy way to incorporate indigo is with a throw. This one from Serena and Lily is $168. 12. Finish things off with a new dresser. 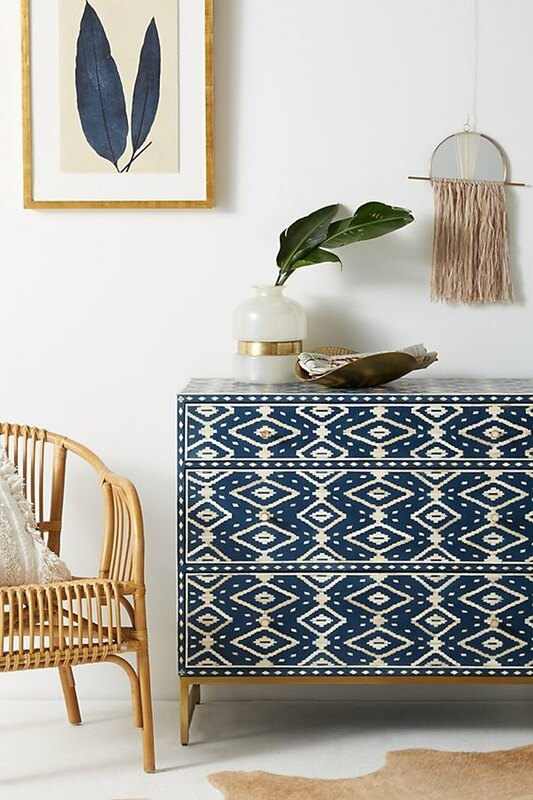 This beautiful boho dream from Anthropologie has an Ikat bone inlay. It comes in at $1,498.